Australia has always been a nation of immigrants. More than one quarter of its population in 2015 was born abroad. Immigrants make an important economic and demographic contribution and help address skill and labour shortages. Labour migration is managed through a complex, but well-functioning and effective system which sets and respects annual migration targets. In recent years, the labour migration system has shifted from a mainly supply-driven system to a system where demand-driven migration represents close to half of the permanent skilled migration programme and demand-driven temporary migration has also risen sharply. In addition, two-step migration has gained ground in recent years. The review examines the implications of these changes for the composition of immigrants and their labour market outcomes. Moreover, it discusses recent changes in the tools used to manage labour migration and provides a detailed analysis on the impact of the introduction of SkillSelect on the efficiency of the system. 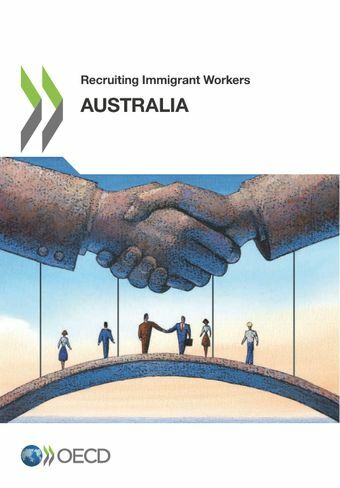 Finally, the review discusses the extent to which the current labour migration system responds to the labour market needs of Australia's States and Territories.